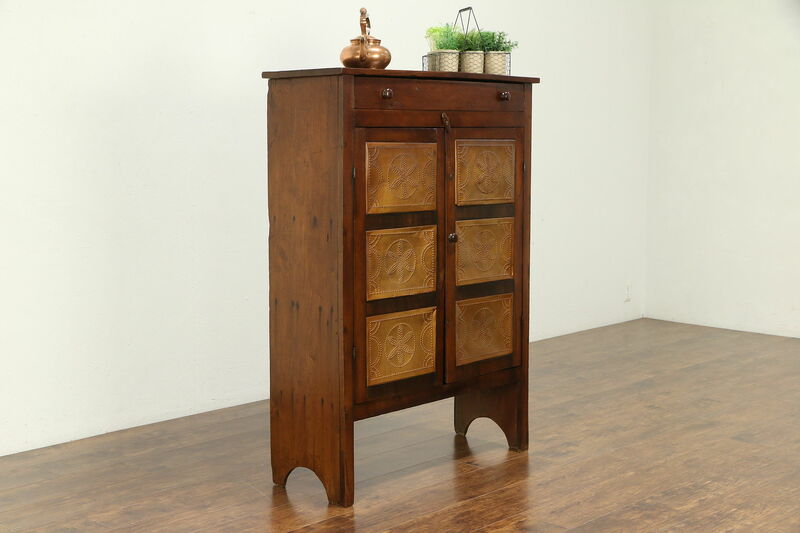 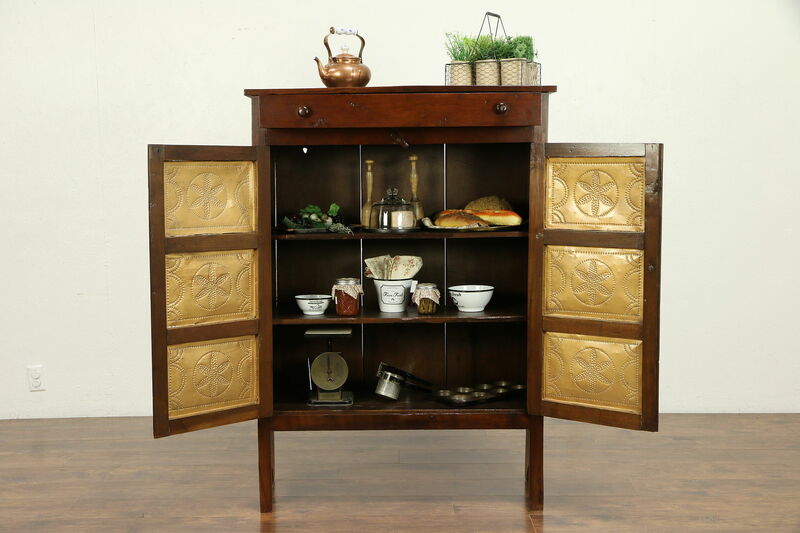 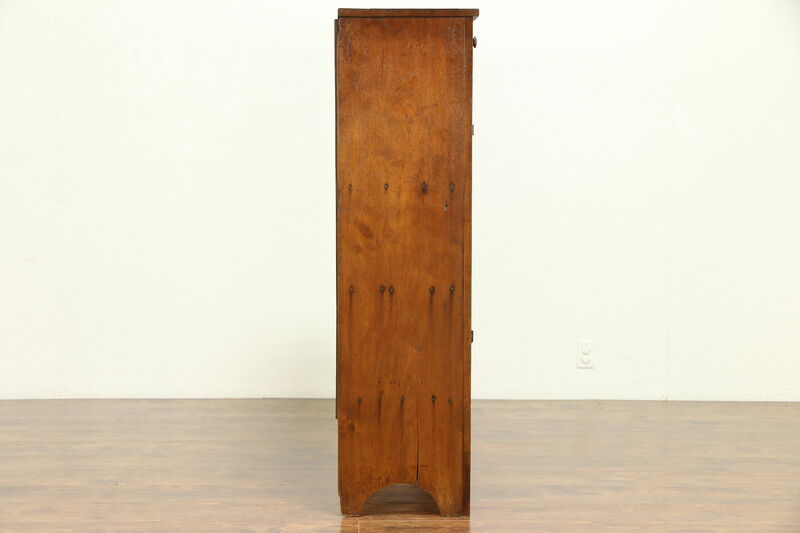 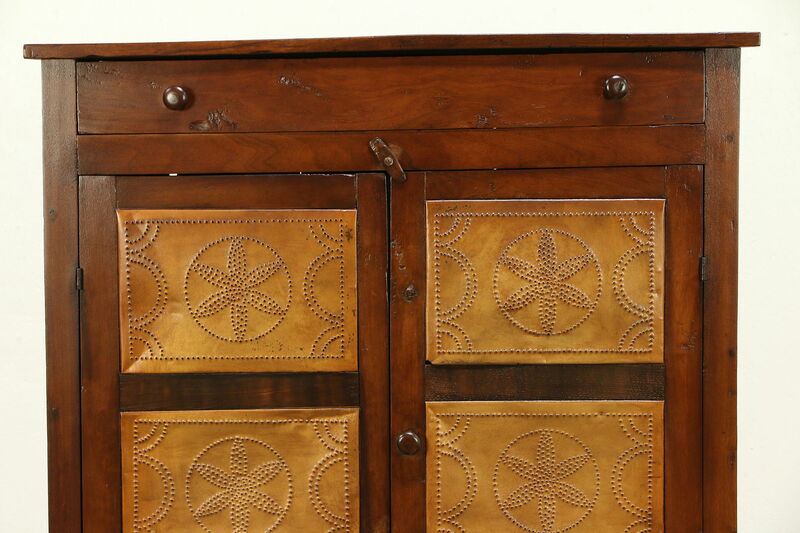 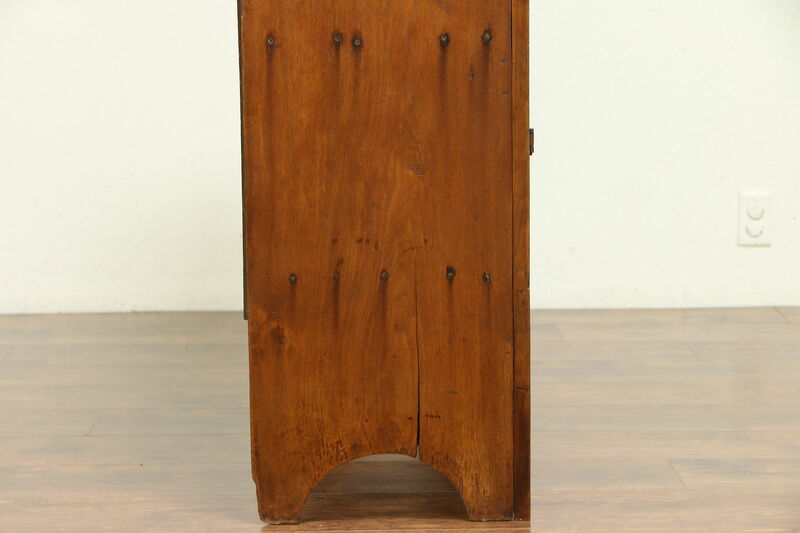 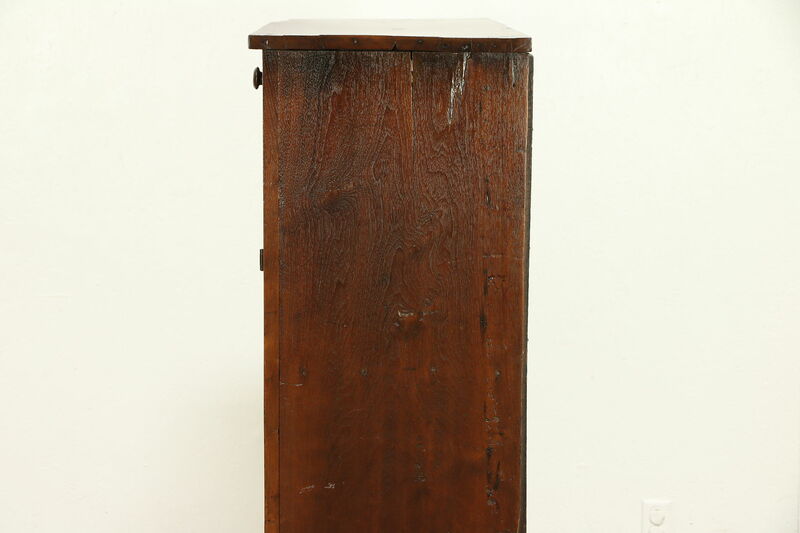 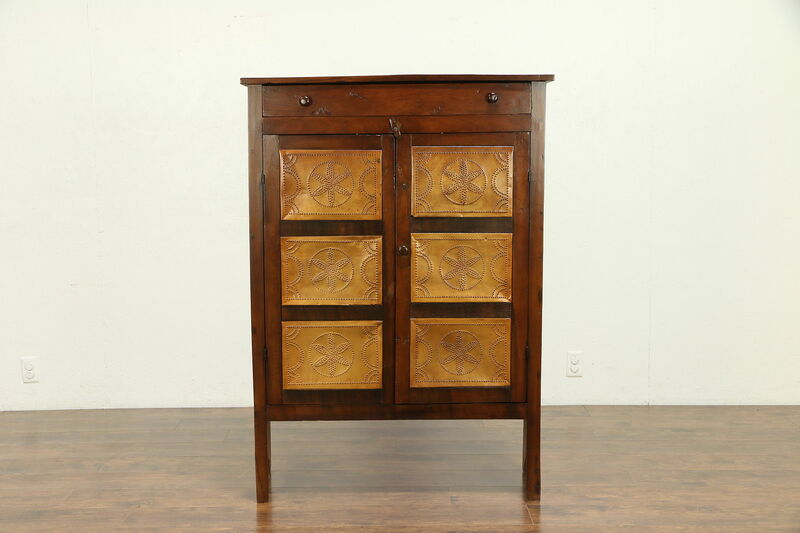 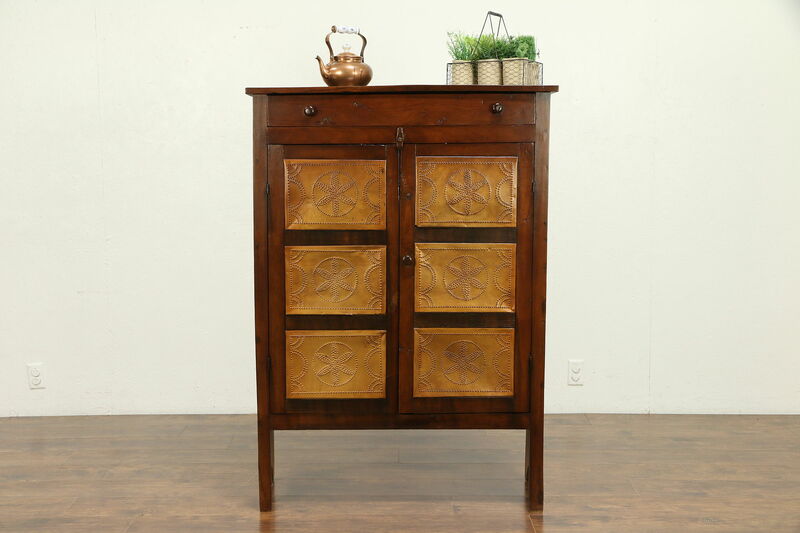 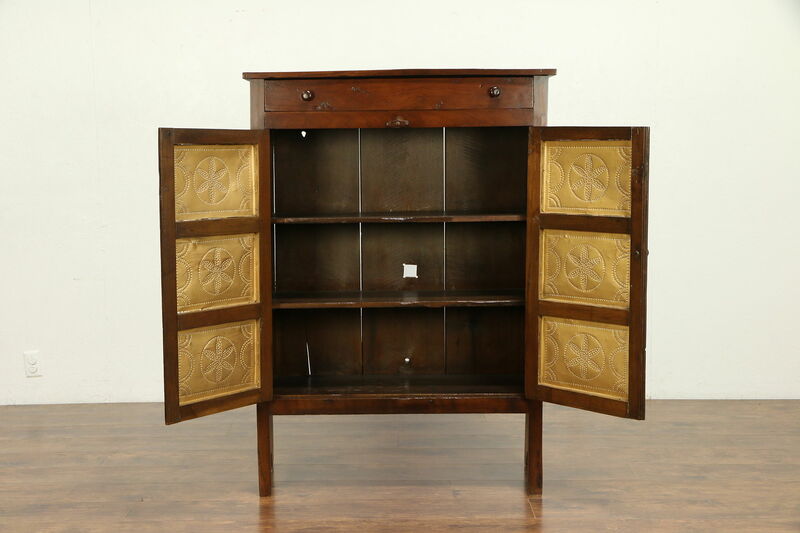 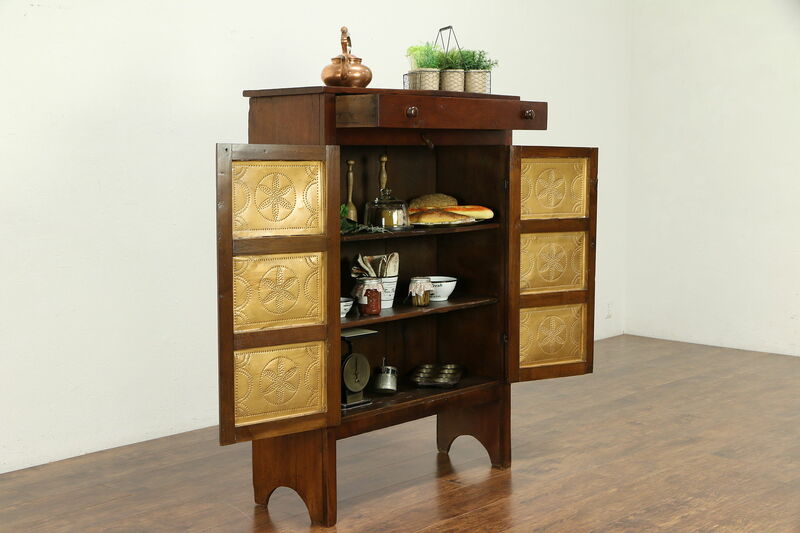 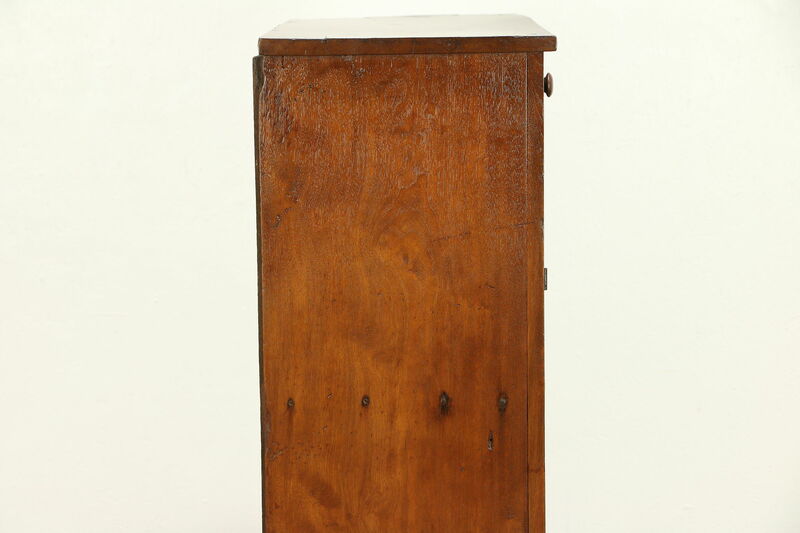 Carved of solid walnut about 1870, this "pie safe" or kitchen pantry cupboard was meant to hold fresh bakery. 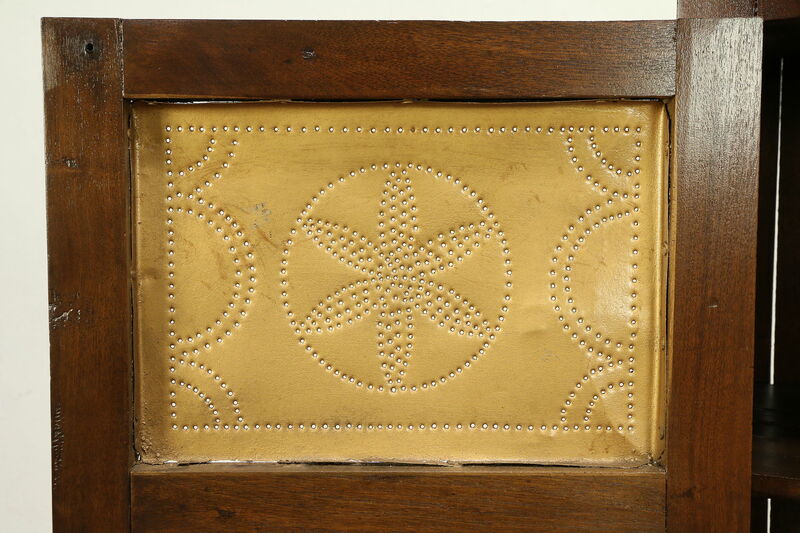 Original punched tin panels provided ventilation and kept flies away. 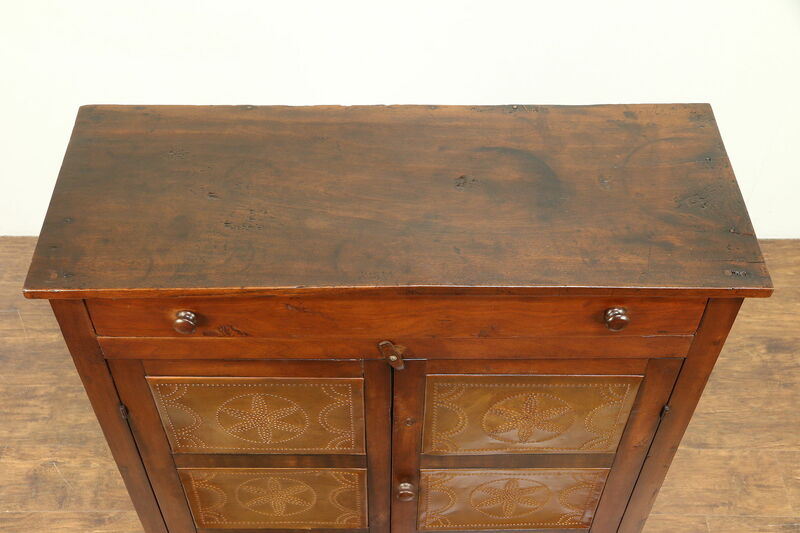 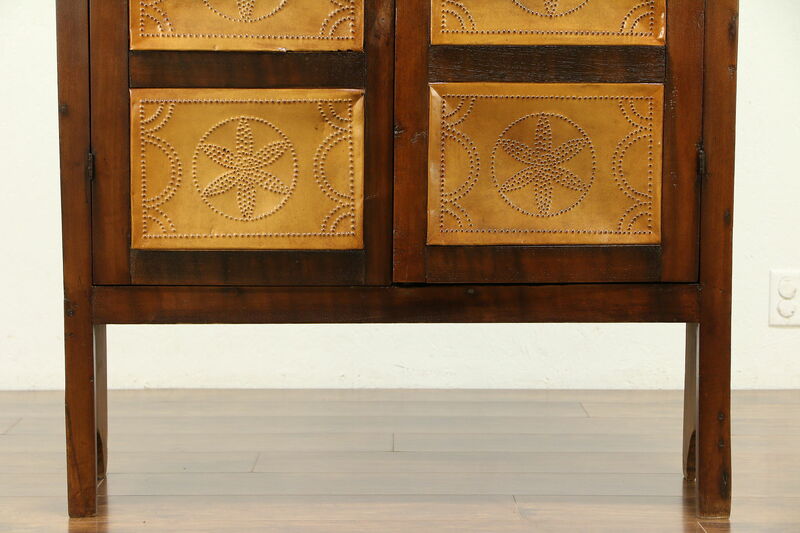 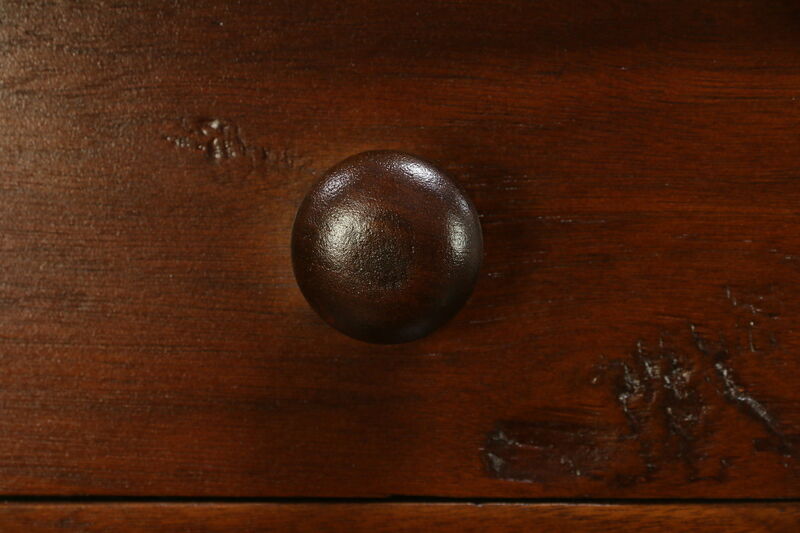 The restored finish is in excellent condition, preserving loads of stains, mars and losses for antique character. 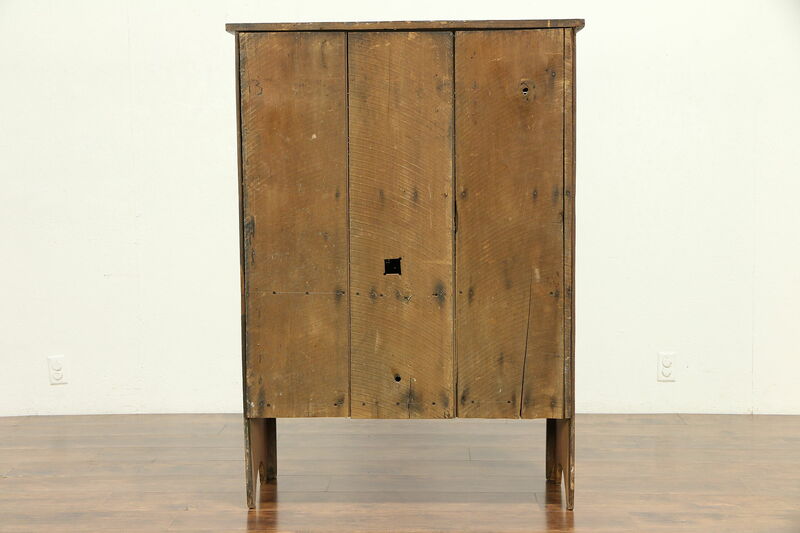 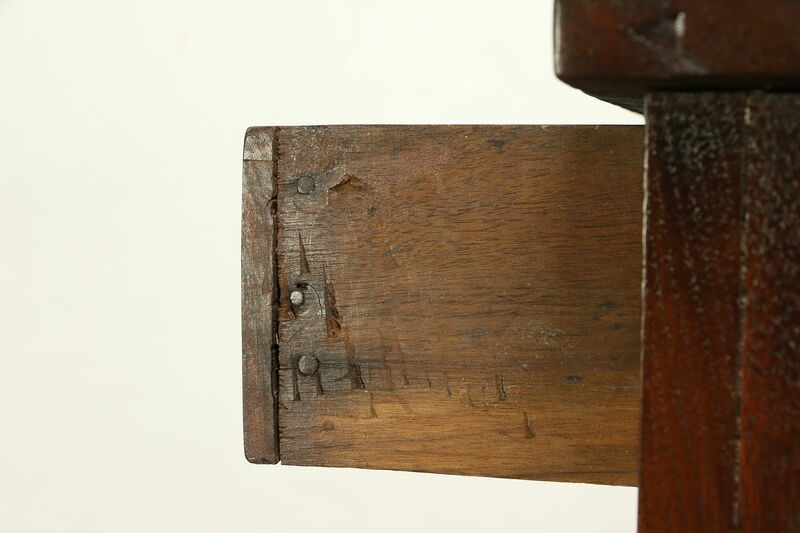 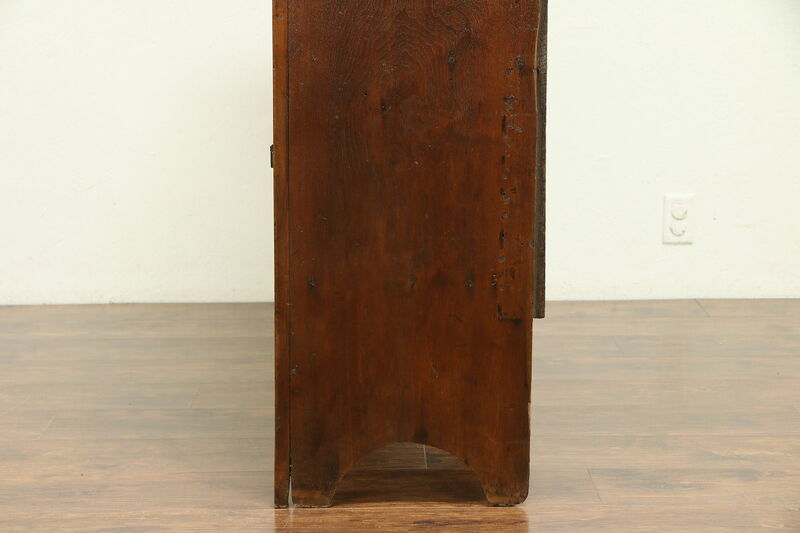 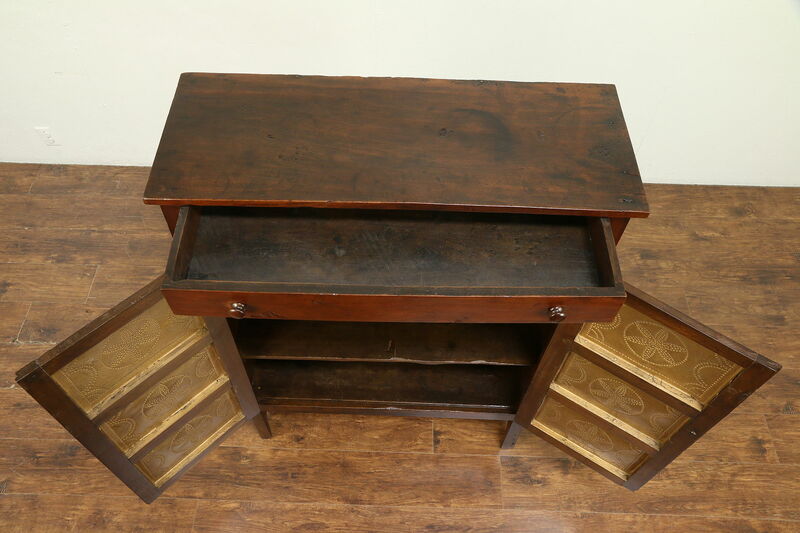 American made furniture, the rough sawn back is attached with square cut nails. 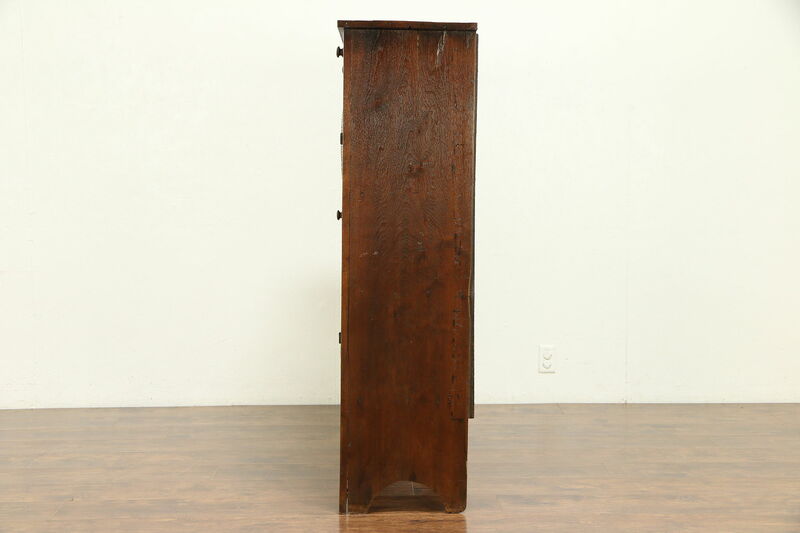 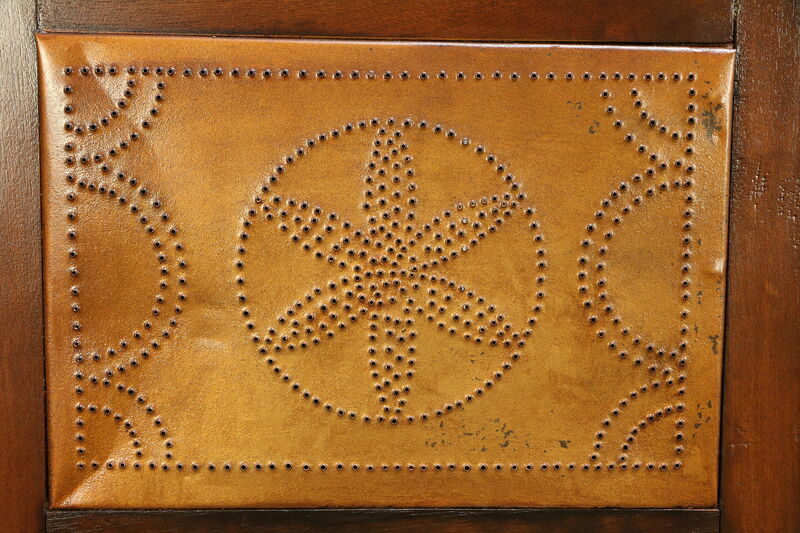 Size is 39 1/2" wide, 16" deep and 55" tall.